The delightful Mr. Poe, never more. 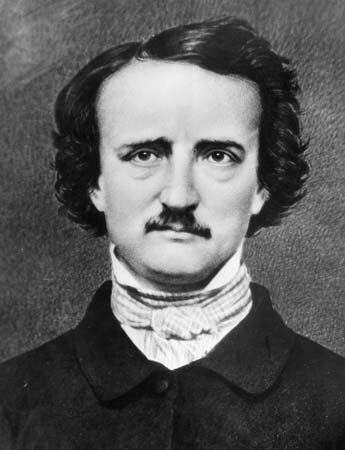 Today is Edgar Allen Poe’s birthday. I’ve celebrated his life on this blog before. Poe for me will always be one of my first teachers in the craft of writing. And, looking back to the humble beginnings of my life, I’m surprised that I was able to gravitate to him. Fiesta Supermarkets and eventually Sam’s Club sold books in the area. The books at Fiesta were the small, fit in your hand, condensed version of the great books. This was how I was introduced to Edgar Allen Poe. I read A Tell-Tale Heart in the same speed as a thirty man would drink a Big Gulp. By the last page, I thought that whoever wrote the book was a genius. The tick-tocking under the floorboard? The guilt? Fantastic. This may have been what jump started my imagination. Later on, as I grew up and read more Poe and learned of his life, I learned we were both born in Boston. We both were dark. We both love deeply. Now, as an adult, I see more similarities. How, because we love deeply we mourn deeply. How we are both tormented by our demons (though I think I deal with the better than he did.) How our lives bleed onto the page. Without knowing it, he taught me how to be a writer both on and off the page, through his mistakes he became a tale of caution. Through his successes he modeled for me the simplicity of story telling and that the root of a story is simple — envy, greed, death. So Happy Birthday and I hope someone shows up with a rose this year. Previous postWhat’s in a identity? A call to arms!